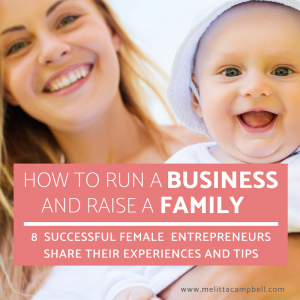 When I recently shared how I manage my business around my family and involve my kids in my business I was overwhelmed by the positive comments I received from other women. 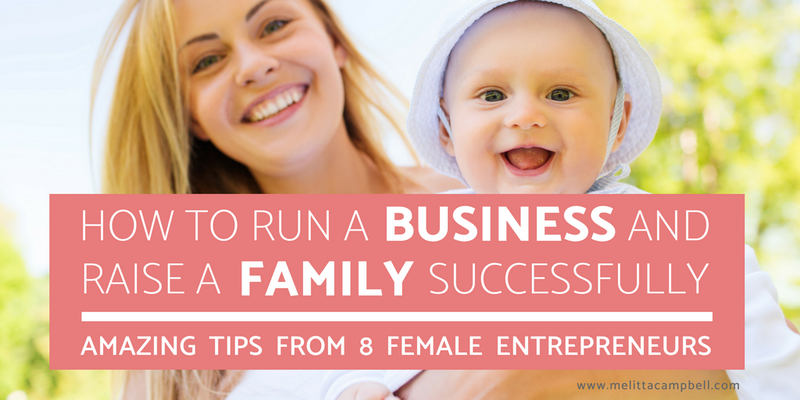 So in this post I'm thrilled to share tips from eight inspiring and successful female entrepreneurs who have built a thriving business around their family. This post is packed full of amazing advice, so grab a cuppa, sit back and take a few minutes to take in their suggestions. In fact, I know you are going to love their suggestions and want to revisit them regularly, so I've also prepared a summary of all their tips which you can download and keep - see the link at the top of the page. So for now, I shall leave you in their experienced hands....over to you ladies! Within 18 months of moving to Switzerland in 2011, Lisa founded the country's first and only exhibition for women. Her zone of genius is in strategic marketing, storytelling and public relations; skills that have led her to be featured in more than 60 national media outlets. When she’s not working on the Women’s Expo Switzerland, Lisa helps businesses wanting to stand out to increase their sales and acquire new clients through increased brand visibility from free publicity in newspapers and magazines. "I have spent the last 5 years building Women's Expo Switzerland, a platform that supports female business owners in increasing their visibility and growing their business. "I'm proud that the platform is now available in three locations and has become THE go-to for women who want to find new products and services for their professional and personal needs, acquire new knowledge and expand their network – all under one roof. "I've achieved this alongside mothering my three children. In fact, I credit my growth and success to being able to include my children in my business. "They help me when I am working and have tasks within the business they can do. They feel they are a part of what I do and can always join me when I am working. "We believe that 'Teamwork makes the dream work'." Co-Founder and Global Ambassador for SHENANNZ. 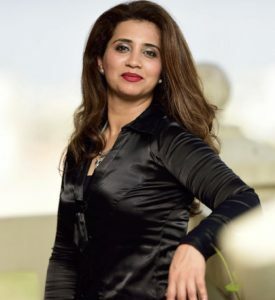 Karachi born Anila has been driven by a strong business mindset since childhood. She had a prestigious career in children's Montessori education for more than 15 years. Now living in Geneva with her husband and three children, Anila has merged her love of education with her passion for women's fashion, creating an exciting fusion of the two. Anila founded fashion brand SHENANNZ with her sister and they are using its global success to help support the emancipation and empowerment of impoverished women in Pakistan. 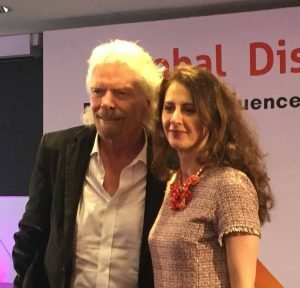 Her dream is to spread the message of gender equality through entrepreneurship and education across the world. Caring for her family while also running a global business and speaking at significant women's events keeps Anila very busy. Here are her top tips for keeping all the plates spinning! "Work smarter, not harder! I try to be thoughtful and always ask myself if something can be done more efficiently or eliminated altogether. Simplifying how I work, allows me to get things done faster (and without the stress! ), so I have time for my family and rest too. "Sleep well and get an early start. Sleep is the foundation of good health, along with exercise and eating well. It also helps me wake at 05:00 without an alarm and make the most of the day. "Turn key tasks into habits so they always get done. Then focus on just one at a time so you don't become overwhelmed! I also put a time constraint on my tasks to help me stay focused; getting it done within three hours, for example, instead of 'for as long as it takes'. Downtime is important too, so I always schedule breaks between tasks. "Involve your children. My children are the driving force behind my business and come with me as much as possible - to radio interviews, pop-up shops, exhibitions and more. I share with them what I'm doing, and take their advice - it feels very natural to work this way. "Finally, and above all, have fun! I firmly believe that enjoyment should always be the main goal." connect with Anila via the SHENANNZ Facebook page. 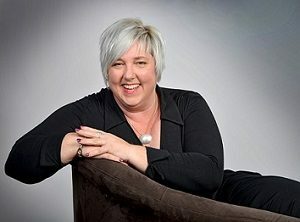 Having worked as a successful journalist for the past 20 years, and now the creator of Moodbeam, an exciting new start up in mental wellbeing, mum of two Christina is once again putting to good use the art of balancing parenting with partnering, both in her personal and professional life. Just like her beautiful, ever-questioning 5 and 9-year-old daughters, Christina has learned that her businesses also demand constant attention and nurturing. They won’t press ‘pause’ when a child is sick or it's school holiday time. But she also firmly believes you can balance the needs of the two when you embrace the 4 Ps. "The most valuable tools you can equip yourself with are patience and process. Patience for others and a process that allows for recovery time in between each rise and fall of a day. "The other really important ‘P’ is Passion. I've found that by channeling what I'm most passionate about into both my personal and professional life brings me the focus I need to succeed at both in equal measure. "Journalism is intensely time-pressured work, so while I am well used to balancing a demanding work environment with numerous personal commitments, it’s only in the past year that I've learnt the art of saying 'yes' and 'no' with confidence. "As director and founder of Moodbeam, I've had to quickly learn the art of thinking on my feet and making decisions with 100% conviction. "I guess what I'm really saying is to never make a move until everyone is certain of their role. It's also important to constantly reinforce your vision – both long- and short-term. Without vision, you can’t possibly progress to the next level. "Passion, patience and process – oh and purpose. Do everything with 100% purpose and you won’t go far wrong!" Ioana funded Fast Forward, a Brand Strategy Agency, 8 years ago, just a few months after her first child was born. 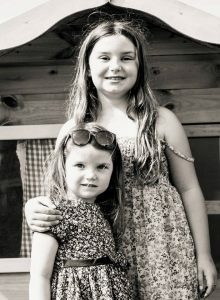 Since then she has been successfully growing her business while taking care of her two children currently aged 9 and 5. Here are Ioana’s tips for building a successful business around kids, while staying sane and being happy. “Staying productive and hitting tight deadlines, while also making sure that our children get the attention they need hasn’t always been easy to balance. “I’ve learnt that ONE little thing can make a huge difference is planning! My husband also runs his own business, so we plan everything in advance, yearly, monthly, weekly. It makes all the difference. “That said, it’s also important to accept that not goes according to your plan, in which case kids come first and business second. “I also try and involve my kids in the business whenever possible. They feel so proud of mummy and it’s a great way for them to learn some great skills for later. “I also teach the kids to respect my working time - when mum’s door is closed, they know not to come in an disturb me. “It’s important to ask for help when you need it. Neighbours, parents, baby sitters and so on can all play an important role in helping you get the time you need. Mum of three, Abheeti helps busy working mothers regain joy in the kitchen, so they feel inspired and empowered to feed themselves and their families with delicious healthy meals instead of quick-fix processed foods. Her current business started 18 months ago when, like many working mums, she felt overworked, exhausted and uninspired. With the support of her business coach, through her new venture, Abheeti has changed her perspective and her business model to give her more time and freedom, as well as the chance to follow her passions. “I now have a business that excites and stimulates me. I feel alive and thoroughly creative and blessed! “Have one daily focus; just ONE thing that you will achieve that day and commit to taking the time to getting it done. To help me focus, I like to do a small meditation when I wake up, using a specific essential oil to help anchor my intentions as I focus on and visualise my planned activity. “My next tip is to take time to feel the joy of accomplishment, even if you haven't got it completed yet! Allow yourself to acknowledge each of the activities you engage in or complete, no matter how large or small. You can learn more about Abheeti’s business at: www.brookandcedar.com and connect with via her Facebook Page. Michelle Kuklinski is mum to 2 amazing children, a successfully published author, social commentator, creative, and 'mum transformer'! 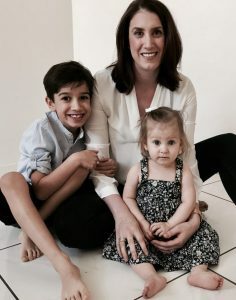 After creating several successful microbusinesses in the UK, Michelle set up GrowwithMK, while in Australia, to help mums find their own path and individuality through coaching, workshops, and seminars. 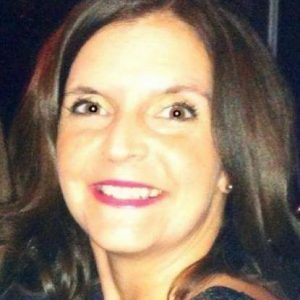 Now back in the UK, Michelle is taking the business forward with new online courses and interactive meetups across the UK and overseas. She is also working on her 2nd book! “As I put fingers to keyboard to share how I run my business around my kids, I realised that my ‘how’ is, in fact, a ‘why’. 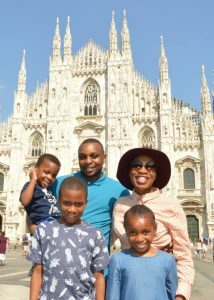 "I choose to leave the corporate world and run a home-based business to have more time with my kids and give them a legacy. They are the priority so therefore my business works around them in terms of how I plan, schedule and execute my business. "Yes, there are times when life feels like it is pulling me in too many directions, but I wouldn’t want to trade it for anything; I love the learnings and benefits my business gives us as a family and I have yet to find anything that matches it as an employee. "KNOW YOUR WHY. A cursory or flippant gloss over of this is not good enough – saying simply, “I hate the 9-5 world”, or “my children need me” is not going to cut the mustard on a crappy day or motivate you to achieve your goals. Really spend some time on this, dig deep and be very specific. "ASK FOR HELP. You may be the ‘go to’ or guru in one or several areas but you are not a know-it-all (and nor should you be!). Know when you need to call the experts in. (Hint - it's when you find yourself spending too many hours chasing your tail, watching YouTube tutorials and endless webinars, or throwing money on courses and still not seeing progress). "REMEMBER YOUR WHY. If you did the groundwork in knowing your ‘why’ then on the days (and you will get them) when you feel like throwing in the towel or wondering what the hell you are doing, your ‘why’ will steer you, give you clarity and remind you that 'You’ve come a long way baby!'." Learn more about Michelle's coaching at www.growwithmk.com or connect with her via her Facebook Group Beyond Mother. 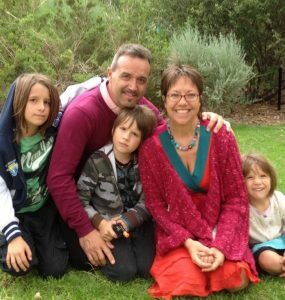 For the last 15 years, Christine Tylee has run a very successful direct selling business around her three children. While she started small, she is currently at the top of her organisation. While she has long been a fan of her chosen industry, when her 6-year old daughter was diagnosed with acute leukemia twelve months ago, she really stared to value the flexibility it provides. “Take multi-tasking to the next level. Look for activities you can combine with family time – such as making business calls while pushing a pram. Preparation is key here! “Get organised with task folders for different aspects of your business, so you can grab and go when needed. You’ll be amazed how productive you can be while you’re waiting at gymnastics or swimming lessons. “If you have to do coaching-type calls with people, maximise your time by holding hold group calls or teleconferences with each one focused on a specific topic. “Download training materials or inspirational videos and texts onto your tablet or phone so that you can access them when you have a few spare minutes. “Organise ‘Office Evenings’. As soon as your partner arrives home, you go to the office to get some work done. Having an agreement in place ahead of time so you don’t get stuck in the “could you do….while I …..” conversations. Kids will soon get used to it too. “Get up an hour before the kids so you can get the most important tasks for that day done. “Have special ‘work toys’ or videos for the kids that they only get when you need to work. They’re great for those times you absolutely have to get something finished or take a call. “My final tip is to work on my your mindset so you are open to thinking differently about your approach to work. Always be ready to work on your business when an opportunity presents itself. Making the most of these moments will help give you more focused family time. Learn more about Christine's business and start being inspired via her Facebook page. 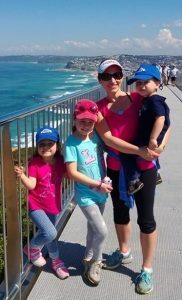 While Kyla is originally from Australia, she has lived abroad for nearly 20 years and currently lives Dubai with her two amazing children and an incredible husband. After having her first child, Kyla new that she wanted to own her own business so that she could be in charge of her own time and schedule. In 2013, she started consulting company which she has recently broadened to include coaching and a networking platform, rebranding as ‘Succeeding in Heels’. Her business bringing together all her experience to link women from different cultures, nationalities, and religions to help them find fulfilling work that they can fall in love with, while also enjoying the freedom and flexibility they desire. "MAKE A PLAN. I found it helpful to talk my plans with my husband. We discussed what I wanted for my business: the calendar, when I would work with clients and what my week would generally look like. We discussed what we would do if the children got sick, and how we would share the load. Keeping a flexible mindset is key here - as with any plan that involves children there is always something that turns your well-made plans upside down! "CONSIDER YOUR CHILDCARE OPTIONS. There were really only two options for us: Nanny or Nursery. This is a completely personal choice, but we went with nursery. With a nanny, I knew I would still be too distracted by having my children in the house, even if there was someone else looking after them. "GET SUPPORT AROUND THE HOUSE. Yes, it costs money, but in the long run, it has helped me work on my business rather than worrying about the floors being mopped! "REMEMBER SELF CARE. Make sure you put self-care near the top of your list. It is so important for you to take time every day for yourself, even if it is just fifteen minutes of meditation, reading, or a bath; something where you can switch off. Remember that your health is everything in your business, without it your whole system will fall apart no matter how well organized you think you are. "In the end, all the planning and trial-and-error has paid off, and I have been able to successfully work from home and build a profitable business over the past seven years. "If I can, you can definitely do it too!" Wow, Wow, Wow - What did You Take Away? Wow, so many amazing and practical tips! Now there is now excuse to not chase your dreams! What was your main take-away? Have you tried any of these tips? What's working for you? Share your comments and ideas below! Not yet a Home Business Owner? With a proven business model, market-leading products, a global opportunity and free training and personal coaching, you have everything you need to succeed and continually grow with your business - even if you have no prior experience. Very interesting and inspiring ladies, and what they say couldn’t be more true. I have recently come to believe that wanting to get done too much is actually slowing me down, so I’ll have to get more focussed on the real priorities instead of checking off everything on my list. Thanks Tamara, I’m so glad you found the article interesting. And I think you are on to something there – it’s important to dream big, but plan small and break all your bigger goals into lots of tiny micro goals, some tasks are just too big to tackle in one go. With the added benefit that lots of micro goals give you more reasons to celebrate! Yes this is so right Tamara, it’s a true fact that having more than 3 things on your to do list is just too much. Get really clear about what you want to achieve. Sometimes we think the busier we are the more we get done and feel we are achieving something but really we end up overwhelmed and stuck and still no closer to where we want to be. I’m sure by doing this you will be SUPER productive. Great to hear about women balancing work and family. This is such a great post! I want to start my own business when I graduate college and I always wonder how other women balance work and family! Thanks Meiah, I’m glad you’ve found this post helpful. Why wait till you finish college? Now is the best time when you feel pumped and motivated. Even just get started on outlining what your want for your business and your life and go from there. I would love to know what type of business you want to do? Love love love hearing how women are balancing their family and work life. Thanks for sharing their stories! This is so inspiring! Thank you so much for sharing these women’s stories. It’s very motivating! I like the idea of focus on one thing a day you want to achieve! I like that one too – thanks for your comment Savanna. Very inspiring post. This will help other women succeed more in their fields. These are such inspiring stories. I always love to hear when women succeed. There is hope. Just have to put in the work for it. Hey Mimi, you definitely can achieve your dreams. Go for it. I think by getting really clear about what you want and why you want it is also a cruicial step and will make things a bit easier as you progress through your entrepreneurial journey. It’s definitely not a straight line but you definitely can do it! !